We’re at that point in the year where music critics start handicapping the Song of the Summer. What will be 2017’s “One Dance,” “Fancy,” or “Blurred Lines”? Well, we’ve got an under-the-radar contender to throw in the ring. It might not be the Song of the Summer, but it could be your Song of the Summer. 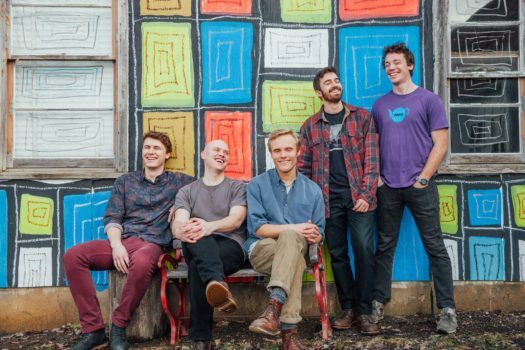 It’s “So Good (I Could Die),” the infectious new single from Vermont quintet J Bengoy. The track has all the traits of a perfect summer song: Catchy, poppy, upbeat, and with a feel-good message to boot. So many zeitgeist-y songs this year tackle strife and conflict, but band founder Justin Barton says the current climate also calls for something more celebratory. It’s not escapism, but a reminder to look for joy even in the era of hourly CNN Breaking News alerts. We ranked J Bengoy’s song “All About You” one of the best of last year, and “So Good” is another leap forward. 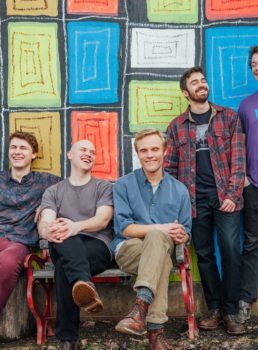 The band recently expanded from a semi-solo project under his own name – “J” is Justin and “Bengoy” derives from “son of” in Hebrew (“ben)” and “Gentile” in Yiddish (“goy”) – into a five-piece collective. His bandmate Charlie Hill wrote and sang this track, not to mention blasting the old Wurlitzer electric organ that gives the song its indie-rock-Beach-Boys swirl. The perfect song to ease you into the holiday weekend, listen to “So Good (I Could Die)” below. There’s a new leader in the race for Song of the Summer: Vermont Edition. Click here to discover more of the best new indie rock music in Vermont.